Hot. Durban is definitely saying a sweet goodbye to winter. Low 30 degrees. Yes. I feel very lost without my car. Generally Pick n Pay and meat at a local butcher. We buy groceries in bulk though so really only buy about twice a year. For that we buy at Makro. Pick n Pay is for bread, milk and stuff we run out of. Yes, when I was much younger! I think it is a blue / green. Depending on what I am wearing. Veggies. My husband does not eat veggies at all but I actually crave it. When we go out for dinner I have more veggies than anything else. Just one? Here are two that I really try to implement into my life every day. We have the radio playing 24/7 so whatever is being played on there most often. Reading and doing my nails. I really really really really don’t like hearing people eat. Or any funny noises you make to be honest. People who don’t treat other people with respect. Ignoring is disrespectful. Treating someone like a dummy is disrespectful. Talking down to someone is disrespectful. Being late is disrespectful. Yeah, to me a lot of stuff comes down to respect. That’s it from me. I hope you enjoyed something a little personal. If you have a blog then consider yourself tagged. If not and you want to answer these questions then feel free to leave your answers in the comments. If you have already done this then leave your link in the comments as well. I would love to catch up. Thanks Luzanne! Yes! that is so me too. Hahahaha. Great answers. I also actually can’t live without pajamas + I also put down that I can’t handle the sound of people eating. it drives me up the wall. I’m also OCD and a perfectionist! Thanks Chicara. Hearing people eat will actually make me lose my temper. Especially the people who sound like they have rocks in their mouth when they eat? Urgh. No. Just no. Frank! He is the cutest! Loved this! Hahaha Frank is my baby! He’s such a chop. Meelo is my favourite to cuddle with. He is the worlds best cuddler. Ever! Loved your answers – thanks so much for sharing! 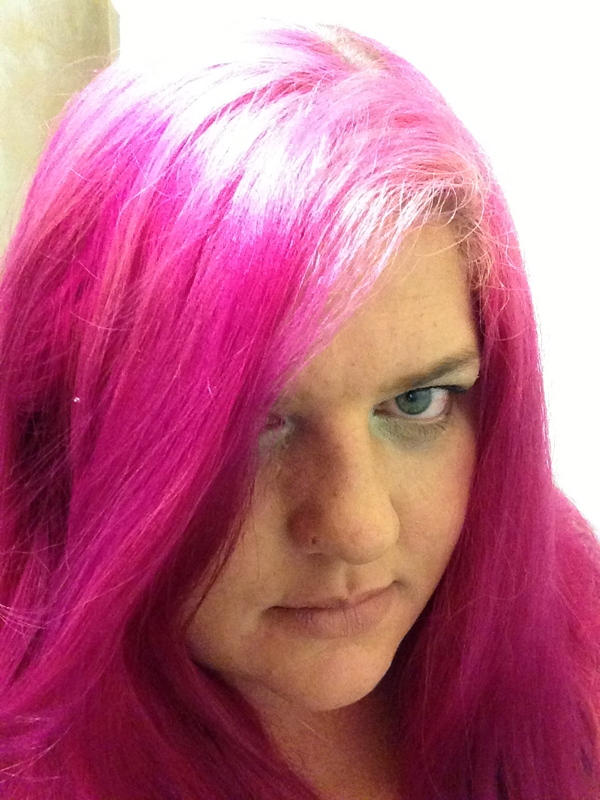 Love your pink hair – so brave! I would never be able to do that! Thanks so much Gaelyn. I love my pink hair. I was VERY worried the first time but it is actually so much fun. Urgh I know right?!?! I have an uncle. When he eats it sounds like he has about 10 marbles in his mouth. I want to die. I can not sit with him when he eats.